At Dudley's B Sharp Academy our experienced music instructors in Washington, DC can't wait to help you enhance your musical talents. Our music instructors have more than 30 years of industry experience. With this expertise, we'll show you how to play different instruments beautifully. We even have vocal coaches, composers, and other staff members ready to assist you in furthering your education after leaving our academy. Contact us so that we can show you how to get into top schools or colleges. Music has been a part of Daryl's life since he was seven years old. Mr. Dudley feels he was called to teach and share his love, joy, and passion for music with others. Because of his innate ability to make hard music techniques seem easy, Daryl is considered a jewel in the teaching arena. As a well-known musician, he has shared the stage with international music acts. Daryl is dedicated to developing and growing new musical abilities and talents. He is a professional music arranger, producer, performance artist, and composer. As the founder and CEO of Dudley's B Sharp Academy, he is able to offer students comprehensive vocal, guitar, drum, piano, coaching, and bass lessons. He enjoys working with children and adults. Charles has been involved in the music industry for more than 20 years. He has worked with various artists. After teaching at the Clark Conservatory of Music and Arts, he has continued to teach and work with music ministry groups. Dorotea has performed as a professional soloist and chamber musician throughout different European countries. She is a winner of the National Championship of Cellists in Croatia. She even awards her students for their accomplishments. 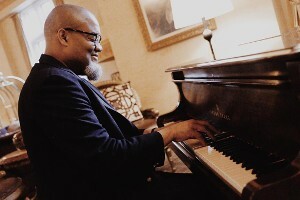 Charles White has studied music since the age of three (more than 20 years). 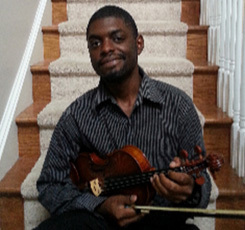 While he is proficient with the piano and violin, he enjoys teaching students about many instruments. Additionally, Charles enjoys writing, directing, and teaching music. His love for music will be carried with him, no matter where he is in life. He hopes to share music with anyone who is interested. Previously, he served as head and assistant music director for the Prince George's Counter Summer Teen Theater Program from 2007 to 2009. While there, he auditioned and taught vocal and instrumental parts to more than 80 teens and orchestra members. This made it possible for his students to perform various musicals, including Beauty and the Beast, Thoroughly Modern Millie, and Jesus Christ Superstar. Paul has taught and played the piano for more than five years. He is also a talented songwriter and composer. Like Mr. Mitchell, Ms. Nizhegorodtseva is a skilled piano player. She has been playing the instrument since the age of six. As a graduate of Azusa Pacific University, Anna has an artist's certificate. She has also won many music awards. Mr. Falkowski is an experienced player of woodwind instruments. He has performed in a number of venues. Brian previously won the Chamber Music Competitions. He currently teaches flute, clarinet, saxophone, and composition classes at our academy.